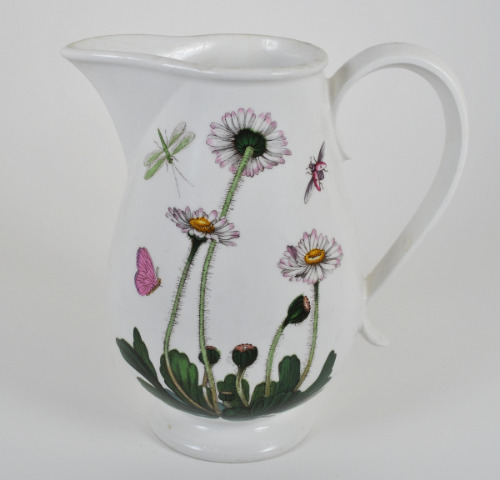 The Beautiful Intricacy and Detail of the Portmeirion reputation certainly shines with this Botanic Garden Daisy Romantic Pitcher. No chips, cracks, hairlines, or scratches on an excellent pre-owned piece, this one virtually speaks for itself! IMPORTANT SHIPPING NOTE: This will ship very carefully packed & USPS Priority Mail for faster delivery to you. We never overcharge for shipping intentionally and keep the costs as very close to actual as possible. We do not try and profit from any shipping costs. Tracking Number is always provided so you may track your package.